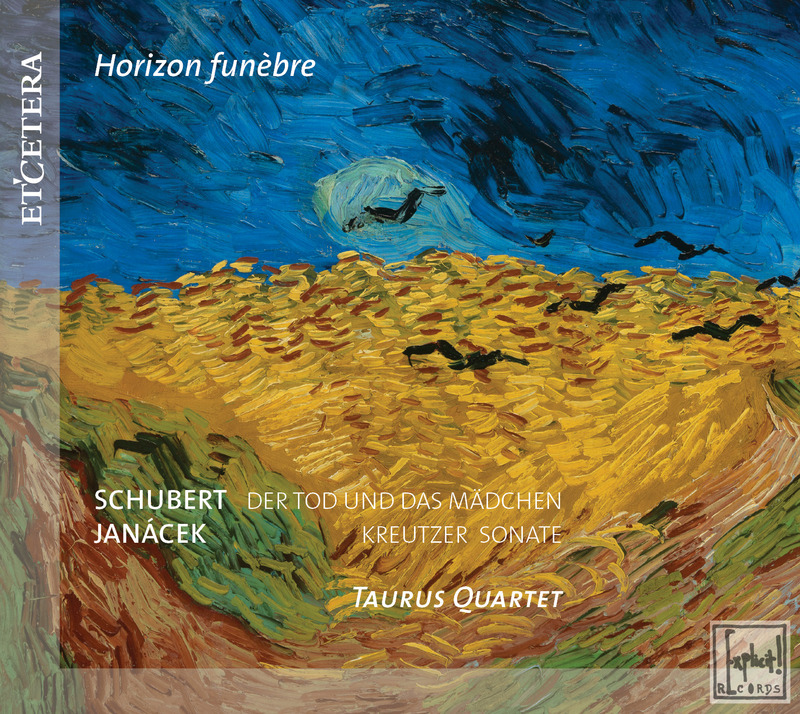 In order to be able to record and produce its next CD, Taurus Quartet is dependent on crowdfunding, because as a quartet we don’t have savings that could cover the cost and government subsidies are d(r)ying out. Every financial support to help us realize our artistic dreams is deeply appreciated by us and we will always communicate with you personally. All modalities in consultation with the ensemble. 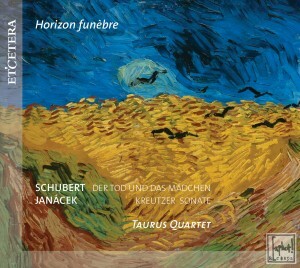 Both works on this 2nd CD feature the cruelty of death, death as a perpetrator. Schubert was aware that in his time illnesses could be mortal, even at a young age. In “Death and the Maiden” he writes his musical testament, with death as a programmatic motif, in all movements omnipresent. Janáček’s “Kreutzer Sonate” is programmatic music: based on Tolstoi’s story, it is a musical description in four parts of a horrendous murder inspired by passion, jealousy and madness. Both works share similar extremes: passion, tenderness, death, anxiety and madness. The recording will take place in the Academy Hall in St.Truiden. In acoustics, especially for string quartet, one of the country’s best chamber music halls. This recording is the second part of Horizon funèbre and will be recorded in January 2018.